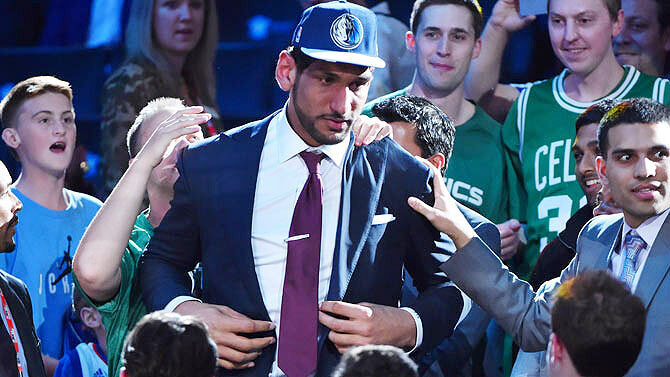 Nineteen-year-old Satnam Singh Bhamara was termed “the international man of mystery” by NBA franchise Boston Celtics's director of player personnel, Austin Ainge, when asked about the basketball prodigy from India. 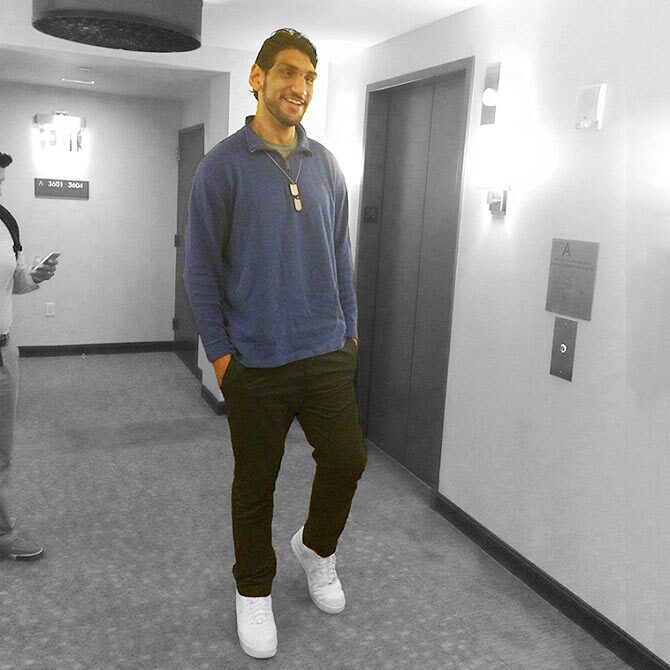 Following his historic draft into Dallas Mavericks for the 2015 NBA season, the mystery of Satnam will hopefully be unraveled in the upcoming season. 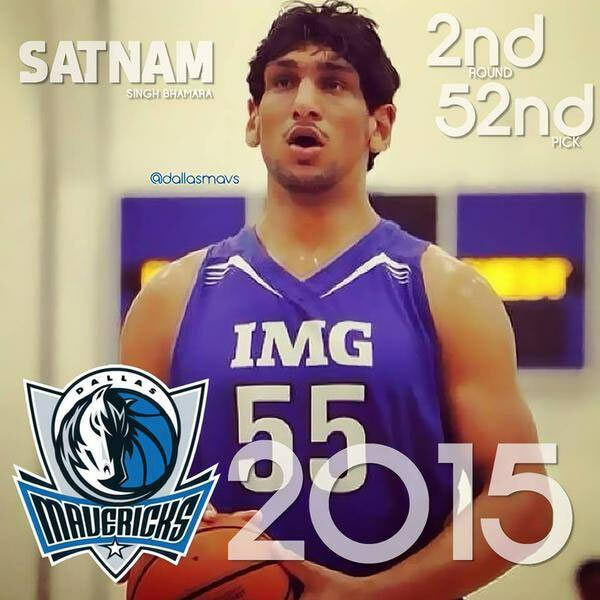 The 7 feet 2 inches-tall center became the first India-born player to be selected in the 2015 NBA draft by Dallas Mavericks on Friday. Elated over his selection, the Punjab lad said Indian hoopsters can take a leaf out of his book and dream big. "The feeling is of course unreal but it has happened and I feel that my entry will certainly open the doors for many aspiring basketballers in India to dream big," he told Indian journalists on conference call from the United States. "At least there is somebody now whom the youngsters back home can identify with, who is playing in the NBA. Now a road has opened up for them from which they can come up. "The game will certainly grow in India in the coming years. You see the popularity of cricket now but in the future basketball will also be popular back home," he added. Hailing from a small village called 'Ballo Ke', near Ludhiana, with a family that towers over the rest of the villagers – his father also stands 7’2" tall and his grandmother is 6’9" – it was his talent and height that took him to the home of world basketball. Satnam admitted that there was lot of anxiety before the result of the draft came in. He was picked in the 52nd draft and second list of the NBA. "Forget about sleep, I haven't even eaten anything because of the anxiety. There were no nerves as such but just that feeling that I should make it into the draft. I was certainly hopeful after coming this far, but there is always a big ‘if’. But, by the grace of God, I have realised my dream," he said, with a big laugh. Satnam, who hails from a family of farmers, represented India at the 2011 and '13 FIBA Asia Championships. This April he declared for the 2015 NBA draft after failing to receive any academic scholarship to play in the NCAA. His selection also marks the first time since the 2005 NBA draft that a player would declare to enter the draft without playing in college, overseas professionally, or in the NBA Development League as well. The 110 kg player, who came to the US in September 2010 as part of a scholarship program between IMG and Reliance, thanked his family and his first guide for turning his dream to reality. "I haven't been able to call home, but I will certainly get connected via Skype. I can never forget about the prayers and sacrifices of my mother, who is instrumental in me getting here. "My sister also went to the gurudwara and prayed a lot for me. I can't also thank Dr. Subramaniam, my first coach, enough. He believed in me and always encouraged me to chase my dreams and achieve my goals. "He had a dream that any one of his wards should play in the NBA and today his dream has been realised. I am missing him a lot at this moment," said an emotional Satnam. He also praised the efforts of his academy coaches, Kenny Natt and Daniel J Barto, for polishing his raw talent. "It was Daniel who has worked with me since the last five years. He was instrumental in getting me to the US, rather he facilitated my trip to the land of opportunities. He helped me a lot in honing my skills and getting my nuances in place. "Kenny told me to focus before the draft night and told me to believe in myself. "So I thank all the coaches and players that I have coached under and played with all through my career so far," he said. Looking up to Kobe Bryant as his favourite NBA star, Satnam also looks forward to rubbing shoulders with the best in the business, especially German veteran Dirk Nowitzki, who is part of the Dallas squad. "My favourite NBA player is Kobe Bryant for sure. And I would love to play with the best of the best. It will definitely be a learning experience and I would certainly look to pick a few things from Dirk Nowitzki." Canada-born Sim Bhullar became the first Indian origin player to play in the NBA when he briefly featured for the Sacremento Kings this season and Satnam admits to having had a word with the Punjabi-speaking hoopster. "Yes, I have had a chat with Sim Bhullar; we chatted in Punjabi and he gave me confidence to make it to the NBA draft," said Satnam, on being asked about getting in touch with Bhullar. Satnam, who is comfortable speaking in Punjabi, can now converse in English with some ease, though he humbly admits that picking up the Queen's language wasn't easy. "Yes, now I can speak and understand English well. There is a bit of a problem when somebody speaks fast, but, otherwise, I have come to terms with the language. It is no more a barrier for me."